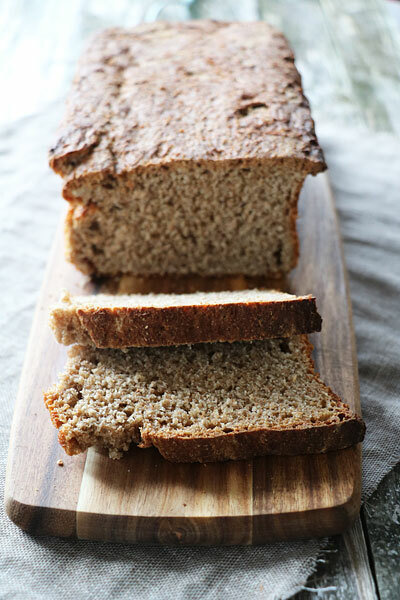 I love this basic spelt bread. I always have a few slices in my freezer for days where I might have no time to make a lunch. 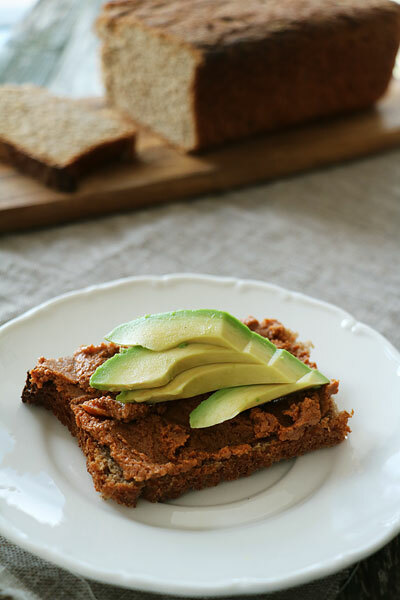 It goes great with so many things including banana, hummus and smokey muhammara dip. It keeps fresh for about two days but after that you can toast it for up to four days. I like it sweet so I add a little extra sweetness. Again, it’s all about how you like to taste things so go with your taste buds! Turn the dough out onto a lightly floured surface and kneed firmly for several minutes. Shape the dough and add it to an oiled baking tin. Set aside to rise again for about 20 mins before baking for 35/40 minutes. You’ll know it’s done as when removed from the tin the bread will sound hollow when you tap the bottom. Allow the bread to cool before slicing. Then add your favourite toppings! Can I ask did you use a 1 or 2 lb Tim? I’m not sure, I have a couple of tins but there are no measurements on them. Are you messaging from America? Measurements can be different in the US. The flour measurements are 500g so perhaps a 1 lbs tin would be best. Sorry I can’t be more specific.